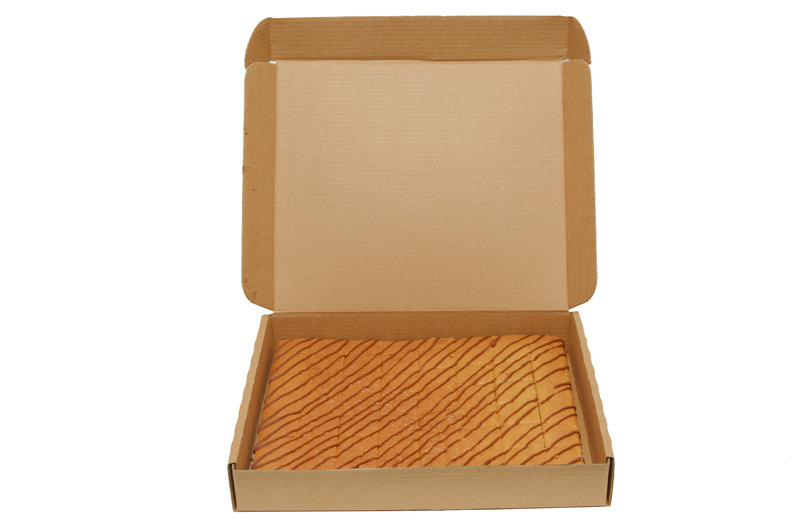 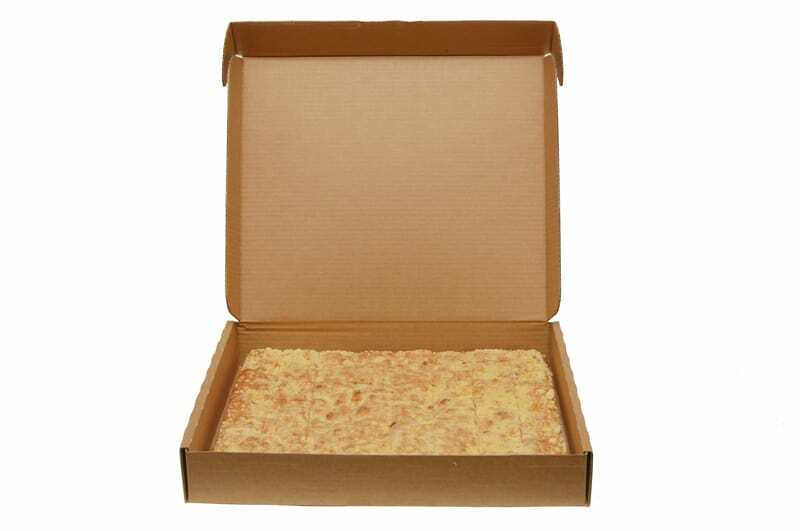 Are you a Wholesaler, Food Service Business or Food Retailer? 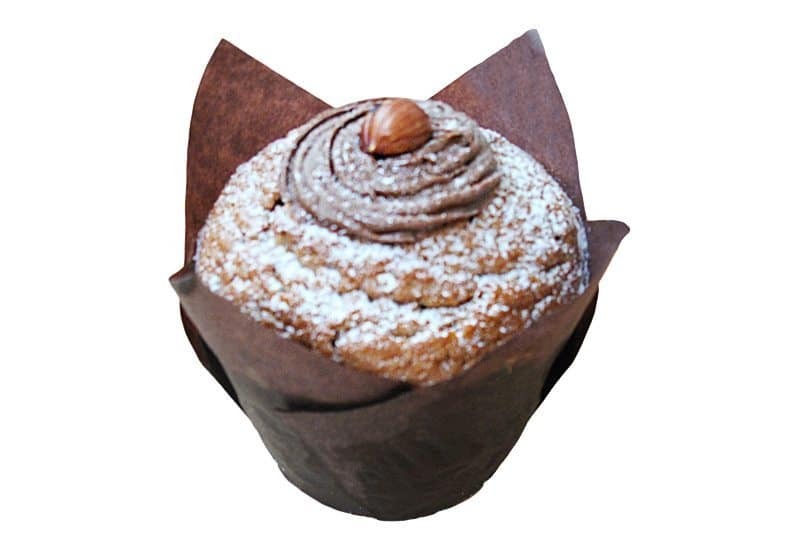 At Danish Patisserie our expert bakers hand craft cakes and sweets with care and exquisite attention to detail. 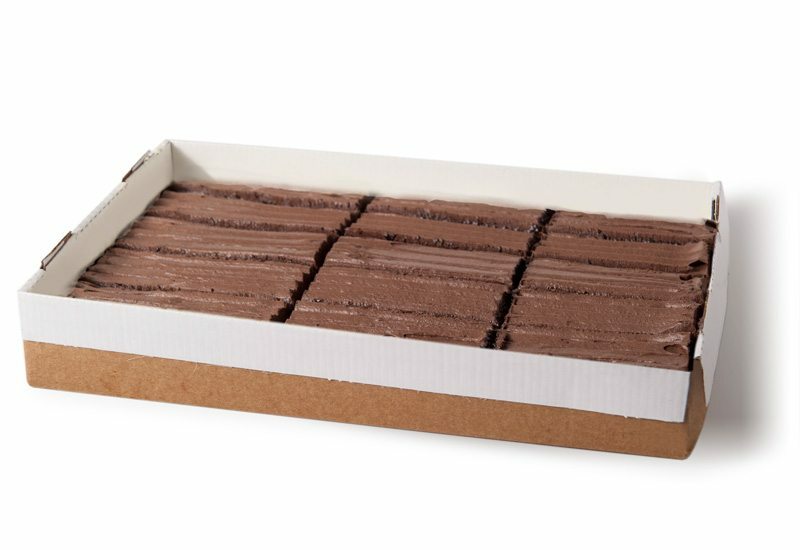 All our sweet products are hand-made using longstanding recipes, and produced onsite using modern baking technology. 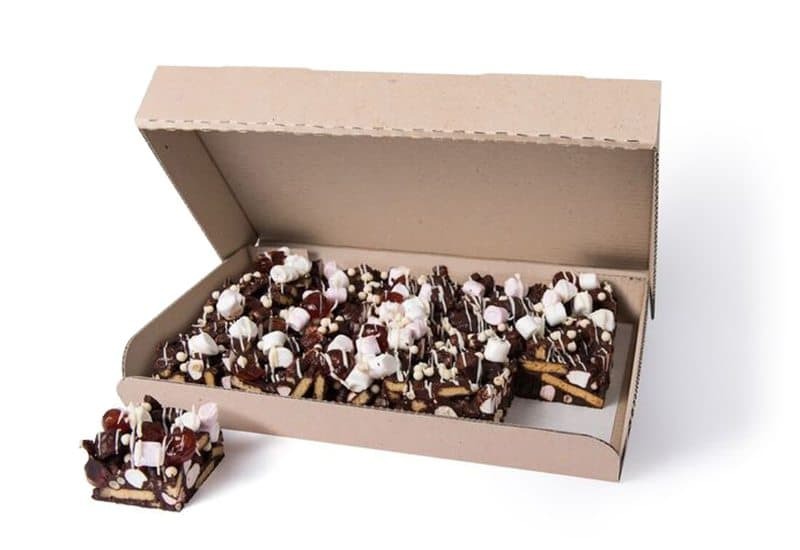 Our approach and quality control ensures we create consistently outstanding sweets that leave customers around Australia wanting more. 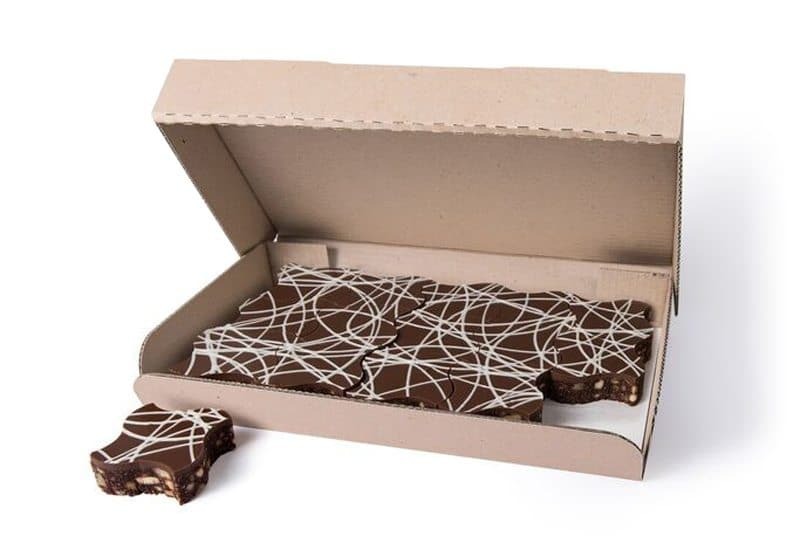 With Danish Patisserie sweets, you can be certain of receiving skilfully balanced products in both flavour and texture that your customers will love. 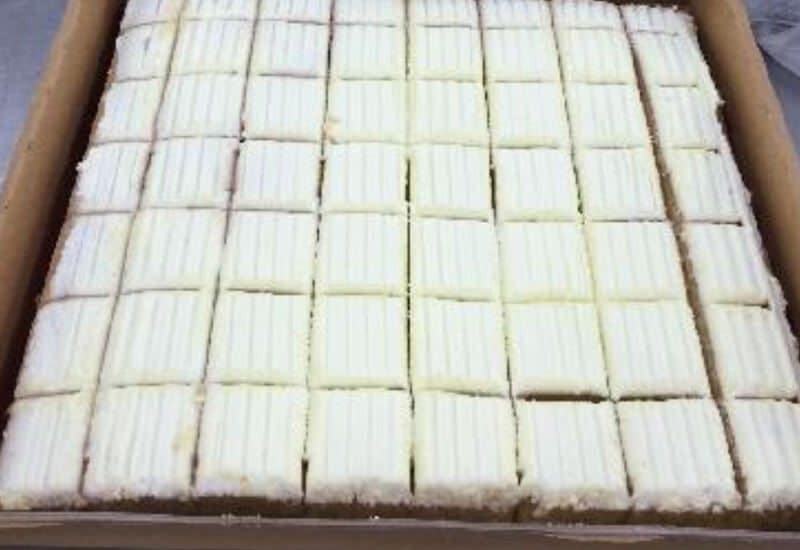 We use quality ingredients, sourced locally wherever possible, creating mouth-watering sweets that have helped us establish our reputation for 25 years. 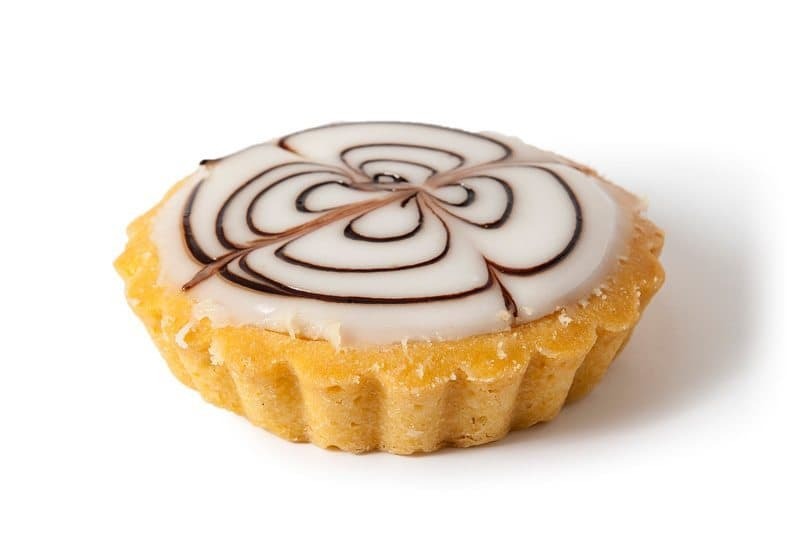 Golden brown shortbread pastry filled with almond filling, topped with white fondant and decorated with swirl of chocolate. 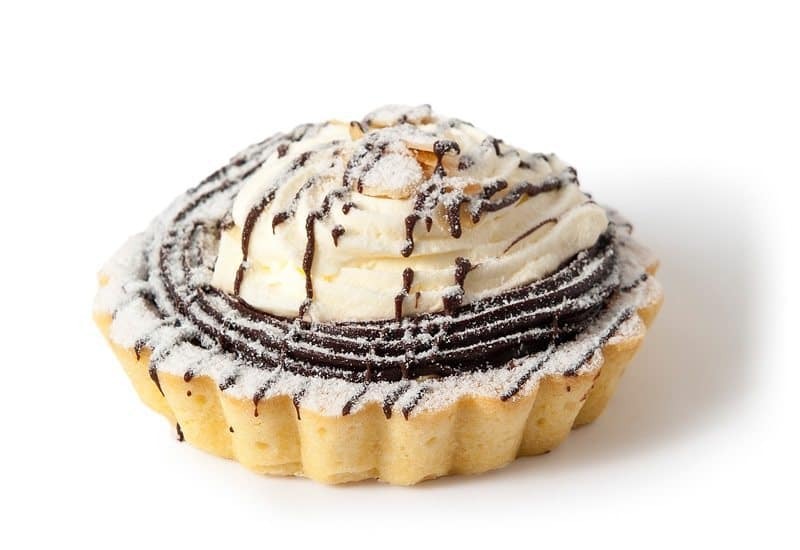 Golden brown shortbread pastry filled with almond filling, topped with white fondant and decorated with a swirl of chocolate. 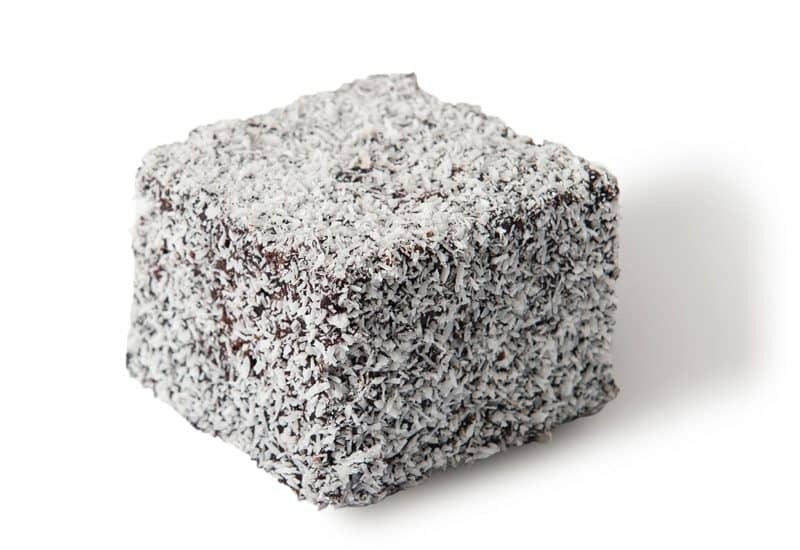 Rich American style chocolate cake topped with chocolate icing and decorated with shredded coconut. 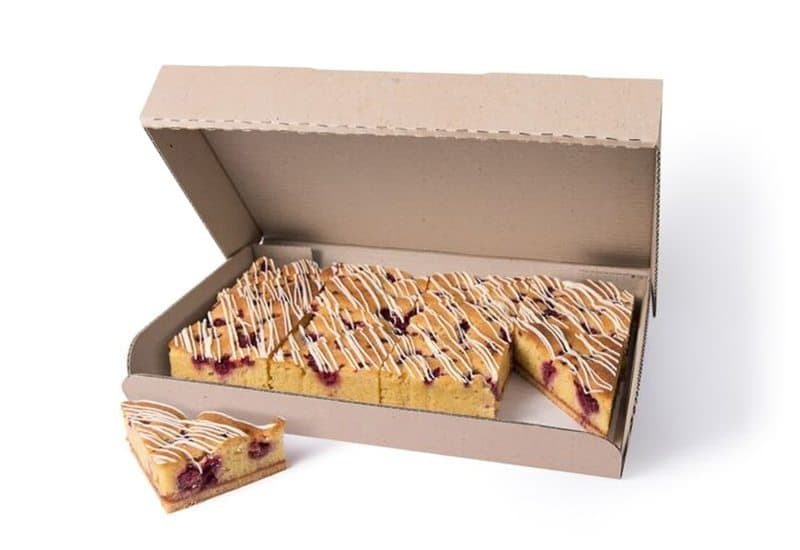 A sweet vanilla cake laced with diced apple and raspberries and topped with a golden crumble. 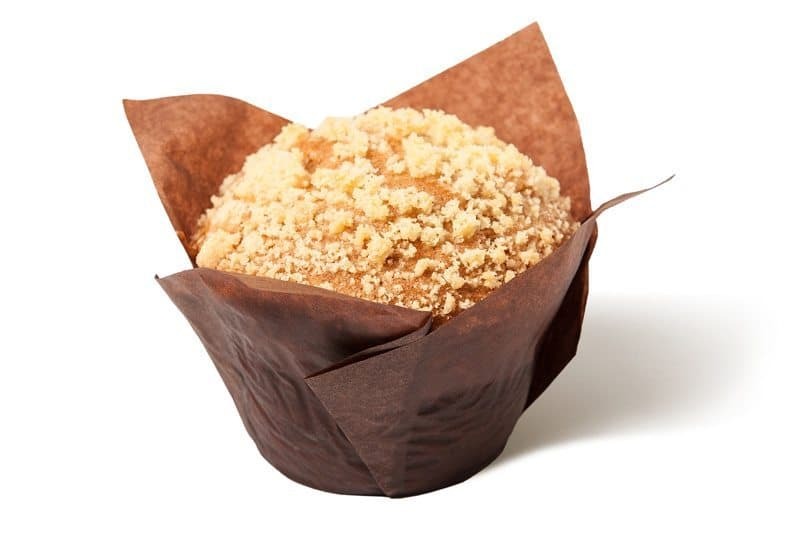 Moist apple muffin with a hint of cinnamon and a golden crumble top. 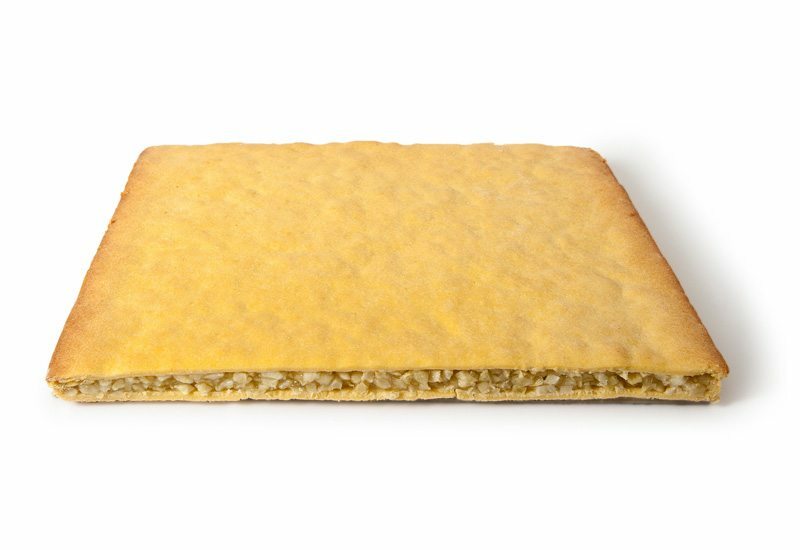 Golden brown sweet shortbread pastry filled with fresh diced apple mix and covered with shortbread pastry then sprinkled with sugar on top. 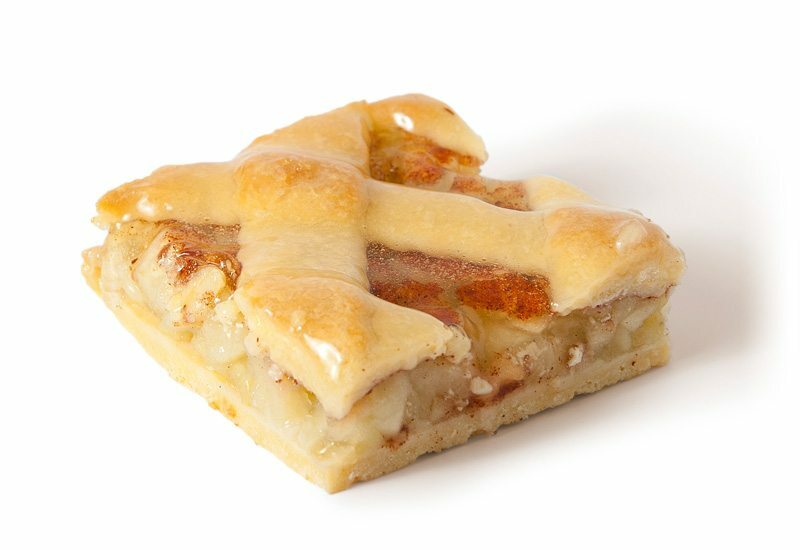 Golden brown sweet shortbread pastry filled with fresh diced apple mix and covered with pastry and a sprinkle of sugar. 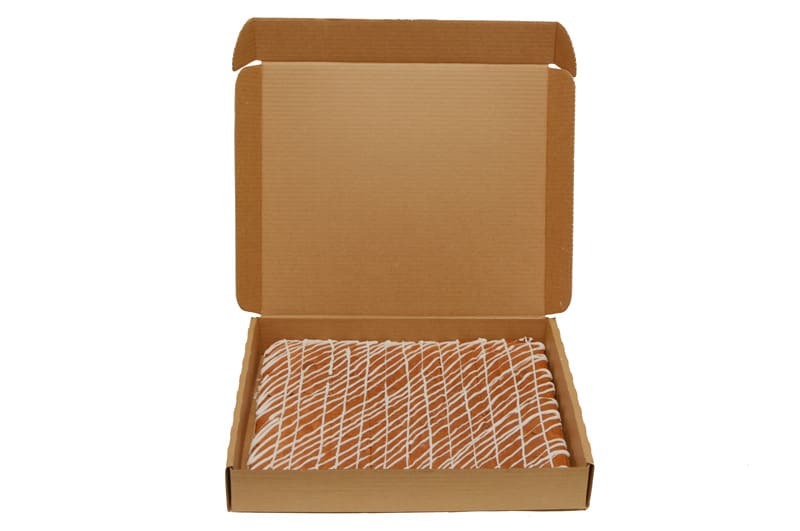 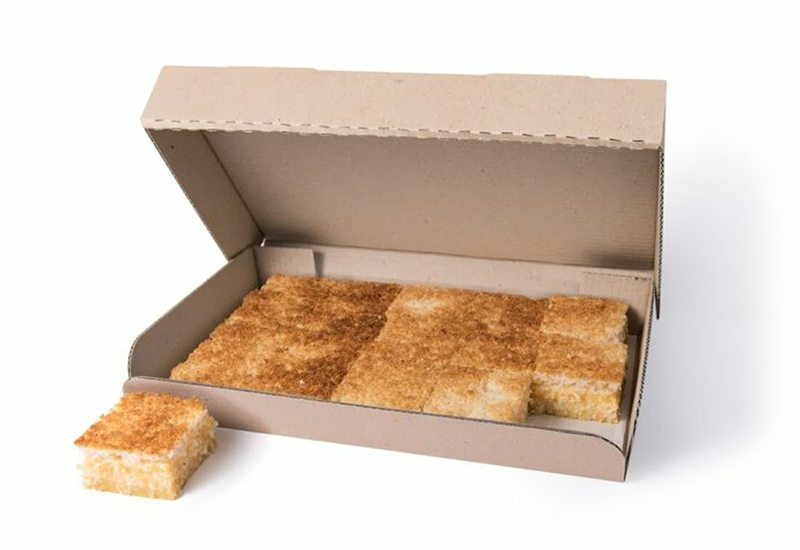 Golden brown baked crispy shortbread pastry sheet topped with a thick layer of fresh apple mix, enclosed with a thin layer of shortbread sheet on top and finally sprinkled with castor sugar all over the top. 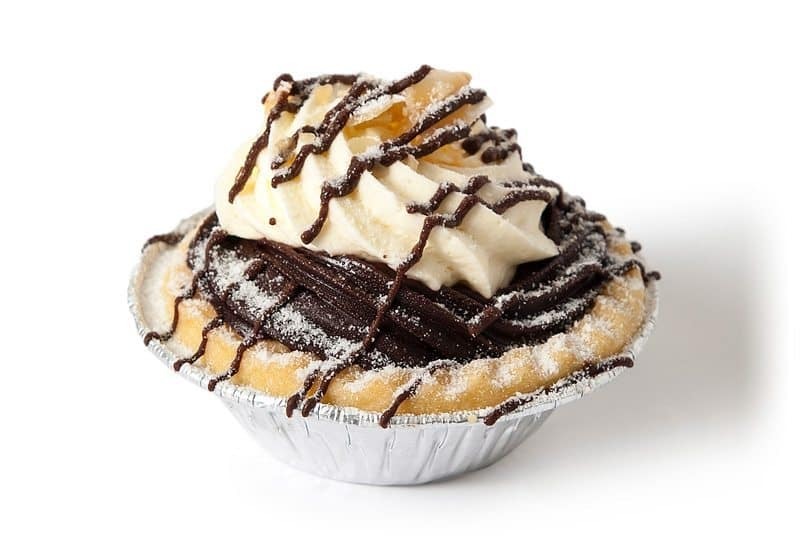 Crispy shortbread shell filled with banana toffee and topped up with fresh whipped cream,then piped with chocolate ganache around the edges and decorated with flaked toasted almonds on top. 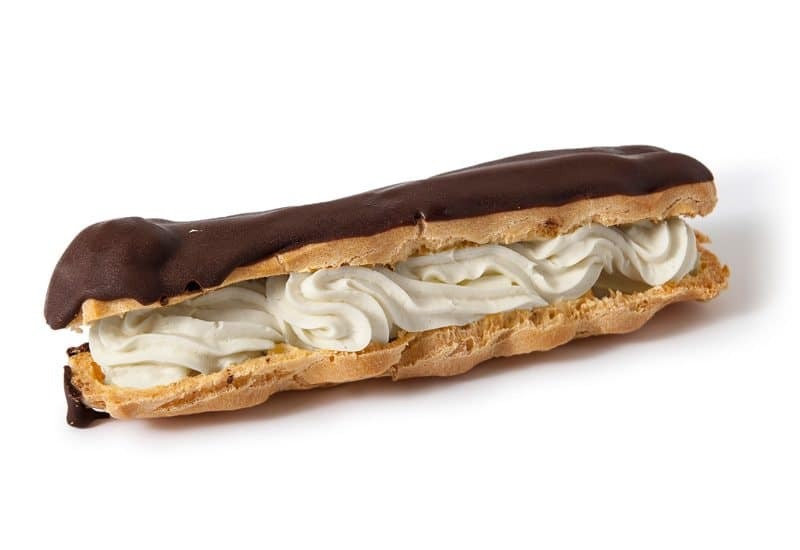 Crispy shortbread shell filled with banana toffee filling and topped up with fresh whipped cream. 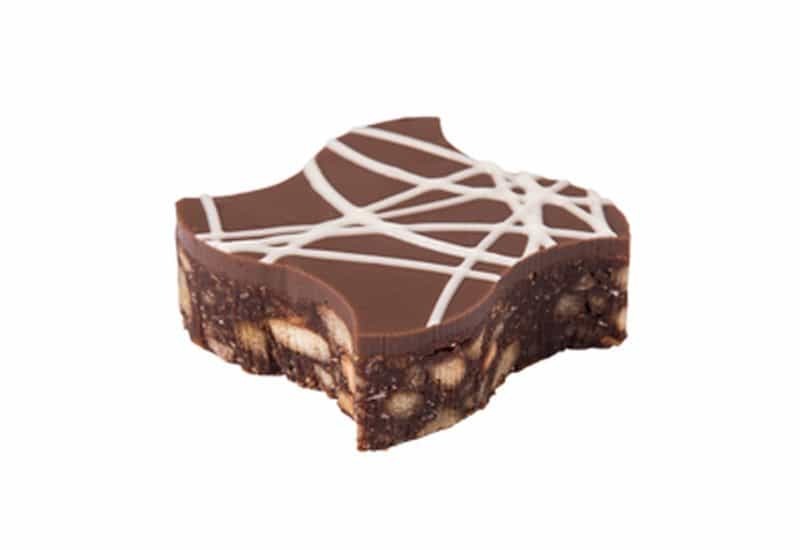 Lastly piped with chocolate ganache around the edges and decorated with sprinkle of flaked toasted almonds on top. 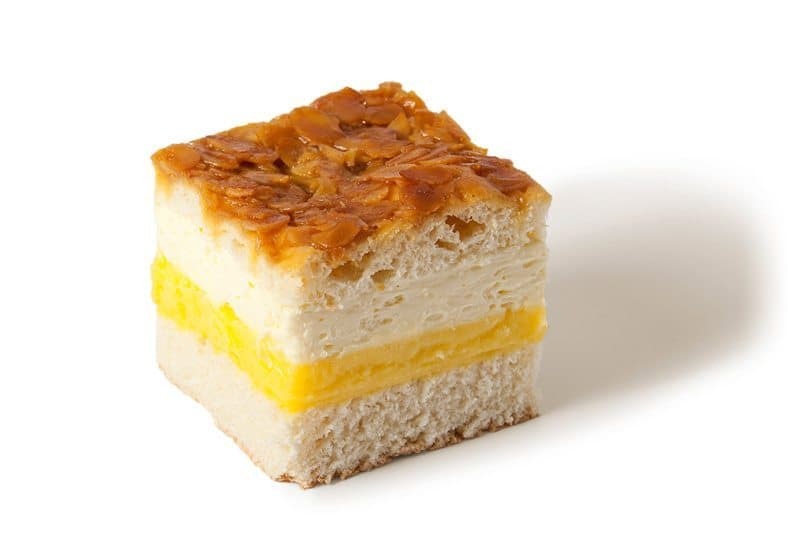 Thick custard and fresh with whipped cream layers in between soft bread like base layers, then topped with sweet caramel topping and sprinkled with almond flakes. 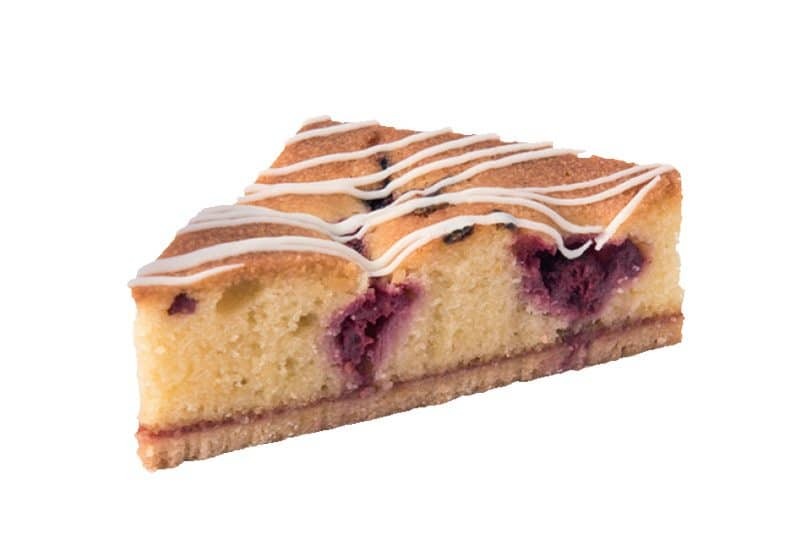 A rich vanilla cake laced with blueberries and topped with a sweet fondant drizzle. 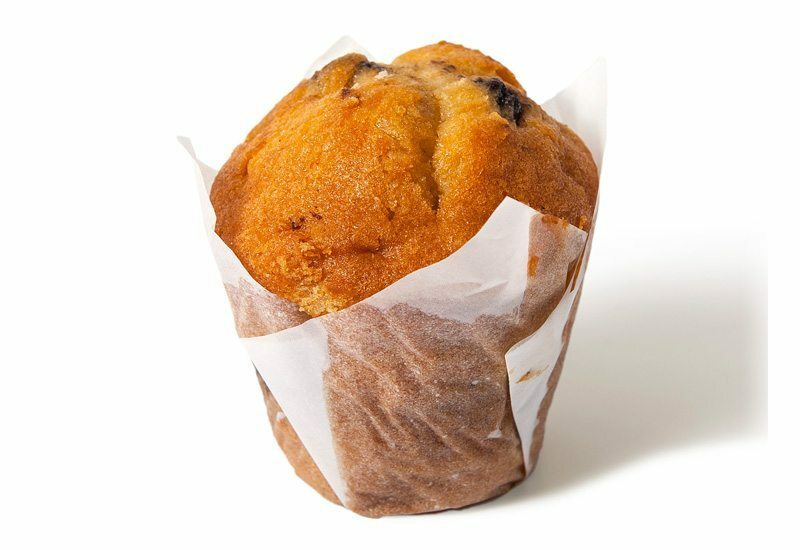 Regular size muffin with juicy blueberries throughout. 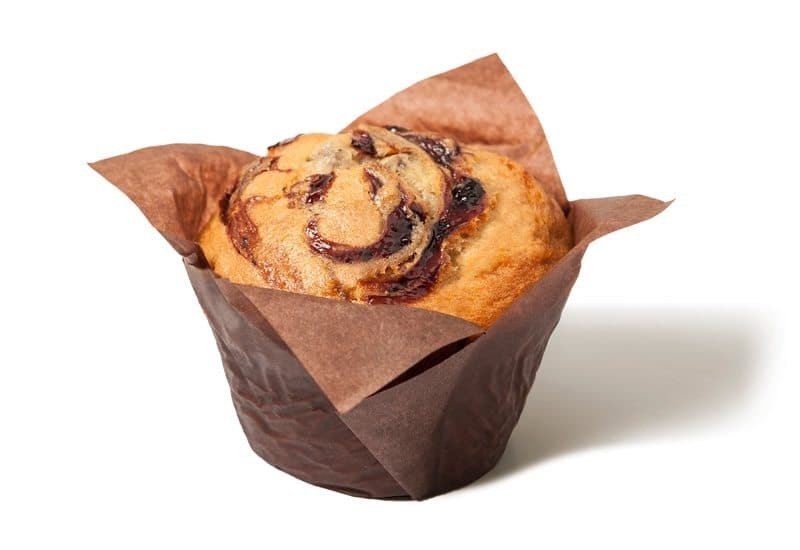 Blueberry muffin with real blueberries and topped with a blueberry swirl . 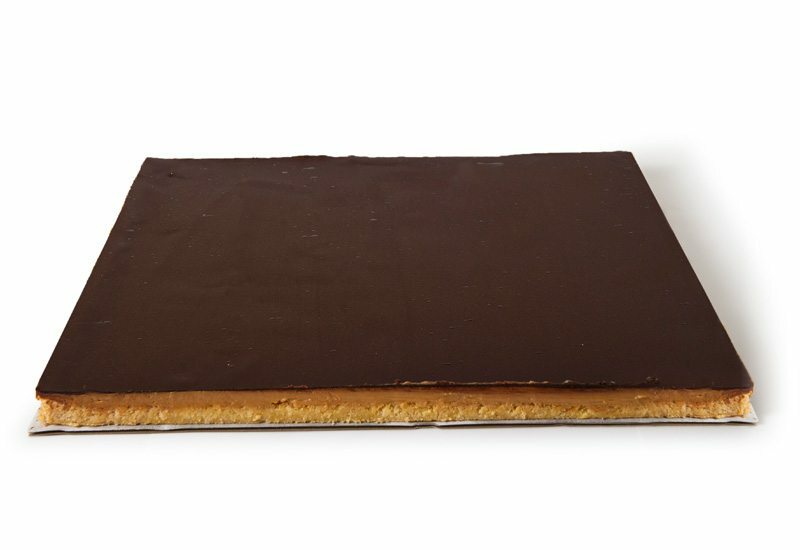 Shortbread base topped up with sweet caramel filling and chocolate ganache topping. 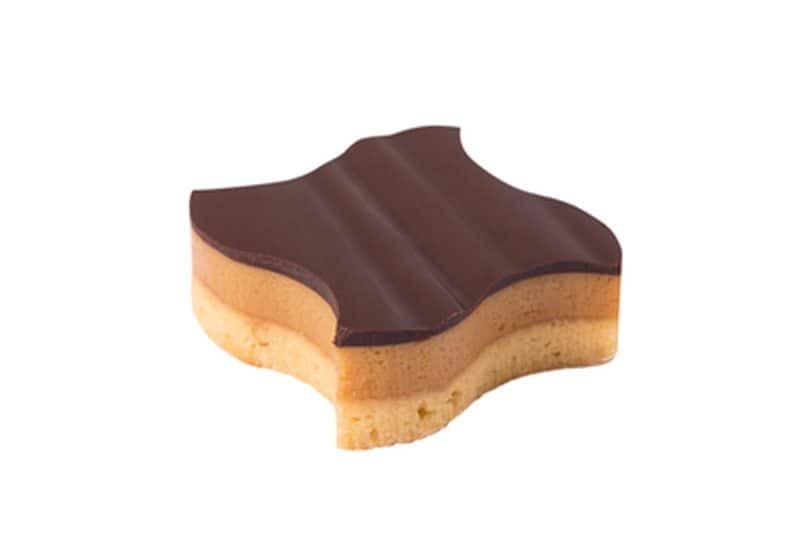 Flag Shaped Shortbread Base Topped With Sweet Caramel Filling and Chocolate Ganache Topping. 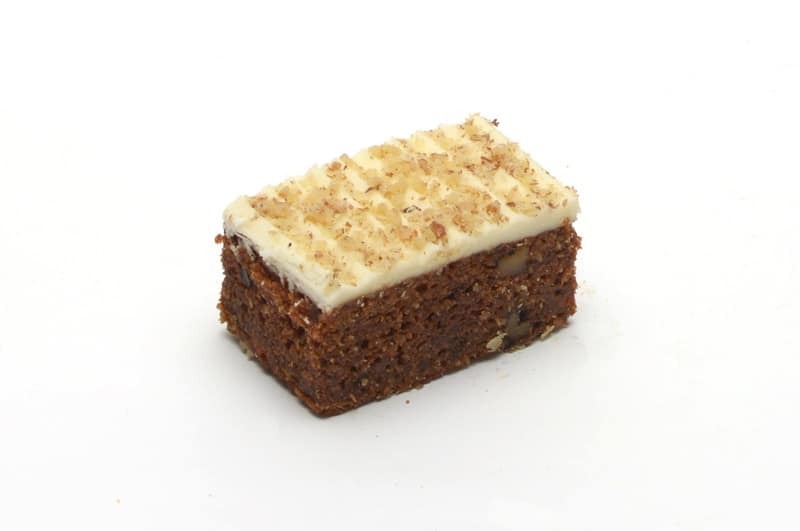 Soft and Moist carrot cake topped with a layer of white fudge icing and sprinkled with grated walnuts. 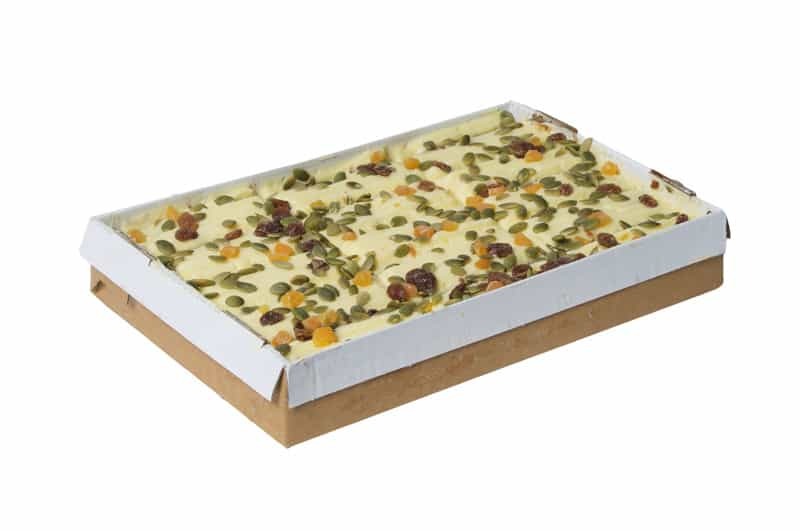 Rich moist carrot cake finished with a cream cheese topping, sprinkled with pumpkin seeds, walnuts, sultanas and apricots. 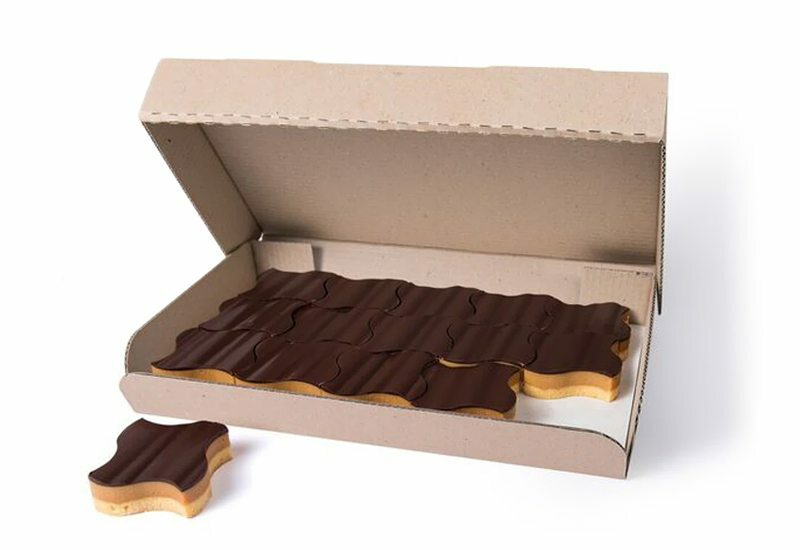 Then pre-sliced into 15 portions. 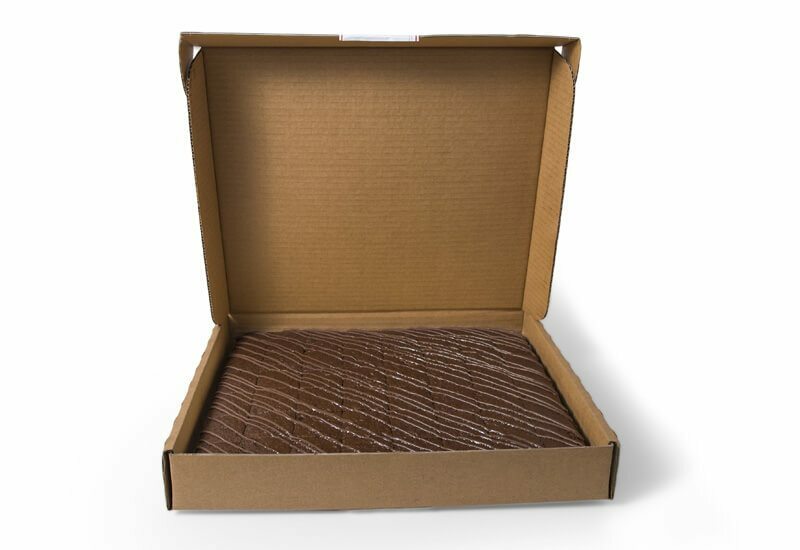 A rich chocolate cake decorated with a sweet fondant drizzle. 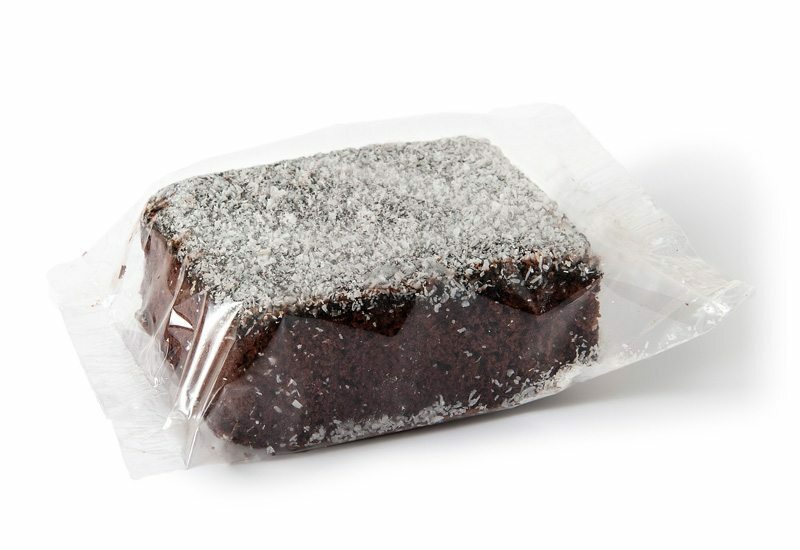 A rich chocolate cake laced with sour cherries and topped with a cherry fondant drizzle. 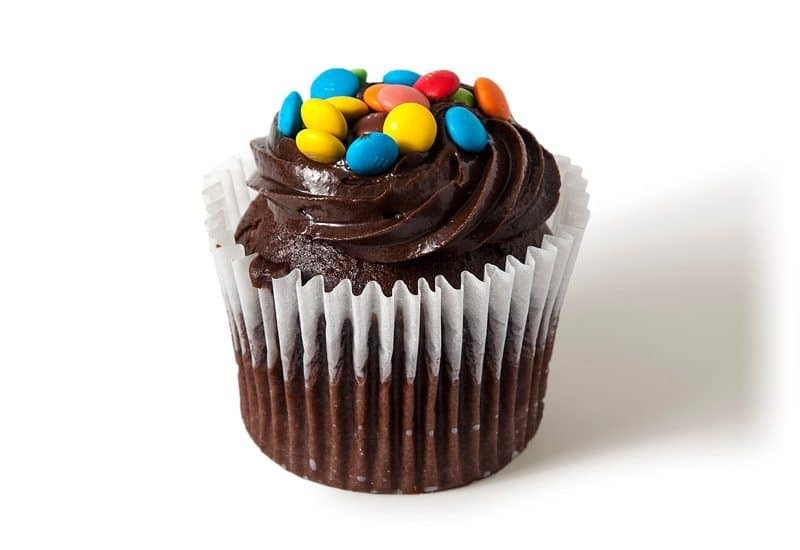 Chocolate cup cake topped with chocolate icing and decorated with coloured M&M’s. 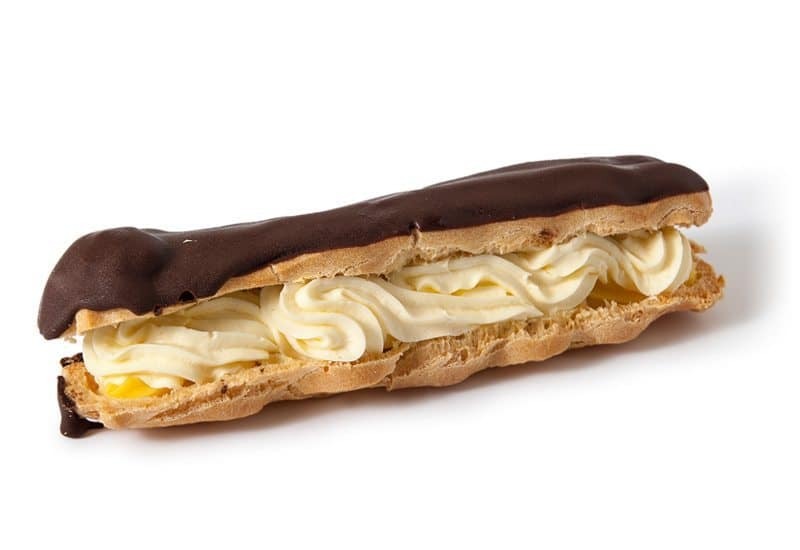 Large choux pastry filled with custard and fresh cream, dipped in chocolate. 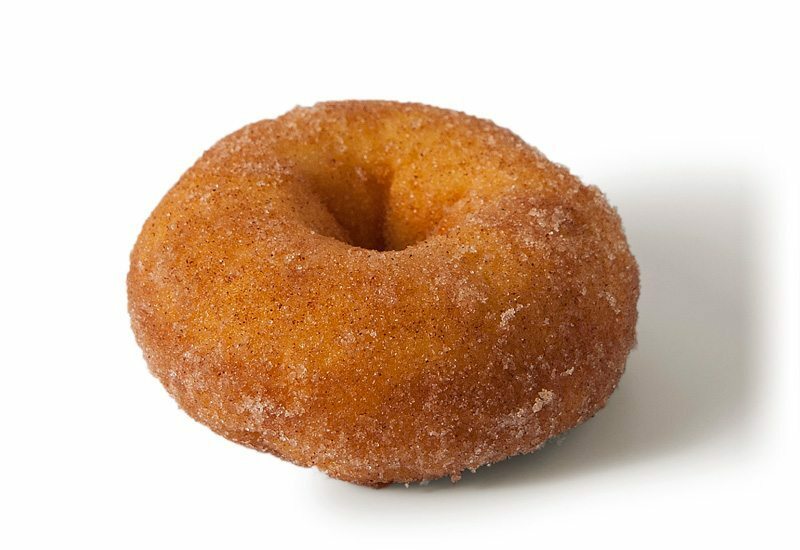 Golden brown ring donut coated with cinnamon and sugar. 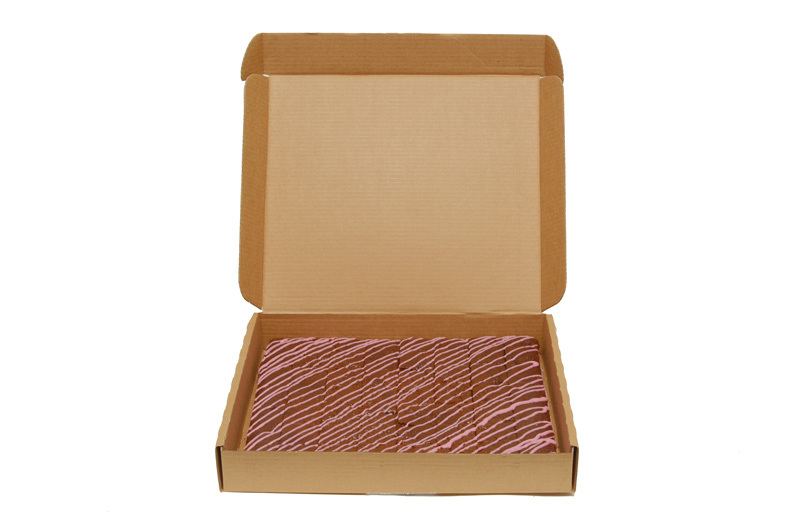 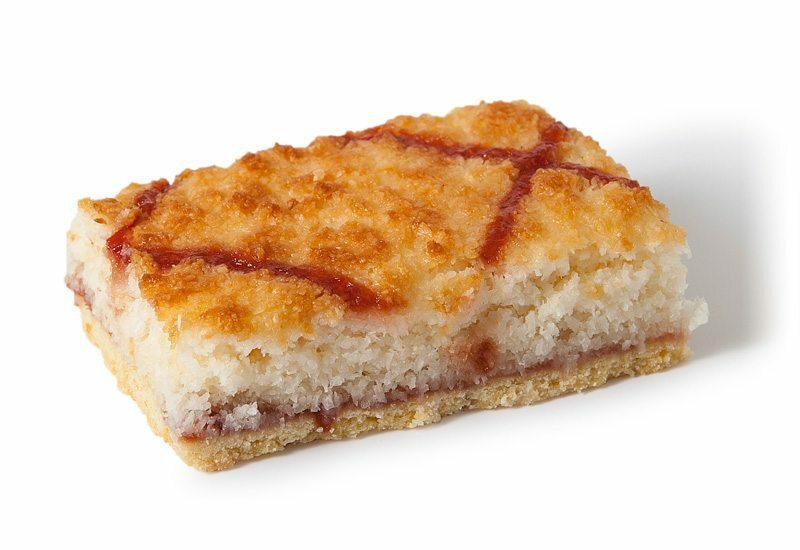 Crispy Shortbread sheet layered with raspberry jam, topped with thick layer of coconut filling, decorated with a swirl of raspberry jam then baked to golden brown. 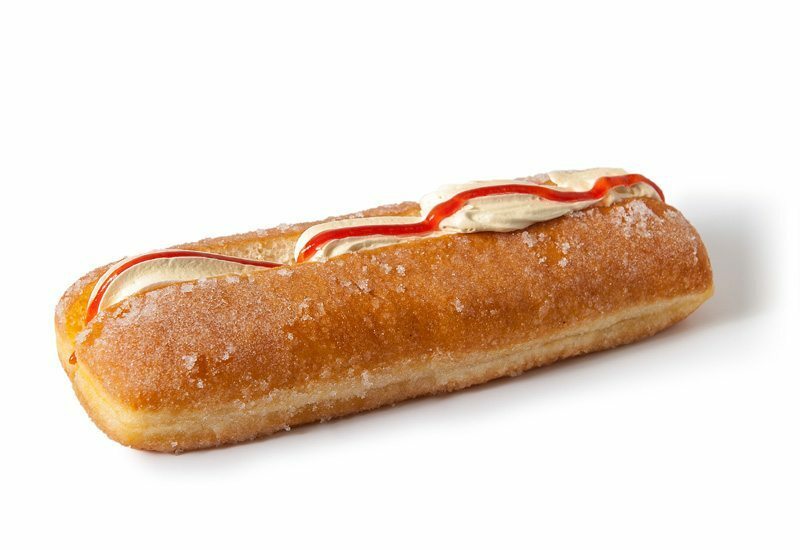 Finger shaped donut coated with sugar and filled with fresh whipped cream and swirl of apple raspberry sauce. 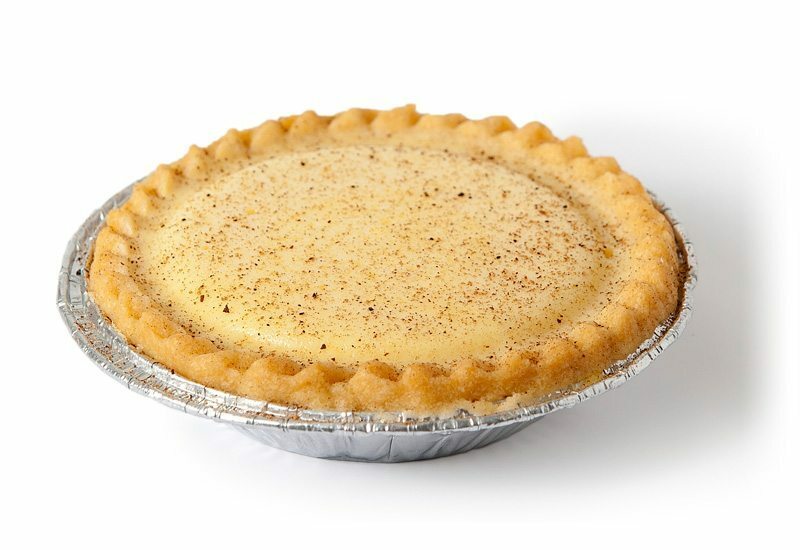 Golden brown shortbread pastry filled with traditional custard filling and topped with a sprinkle of nutmeg. 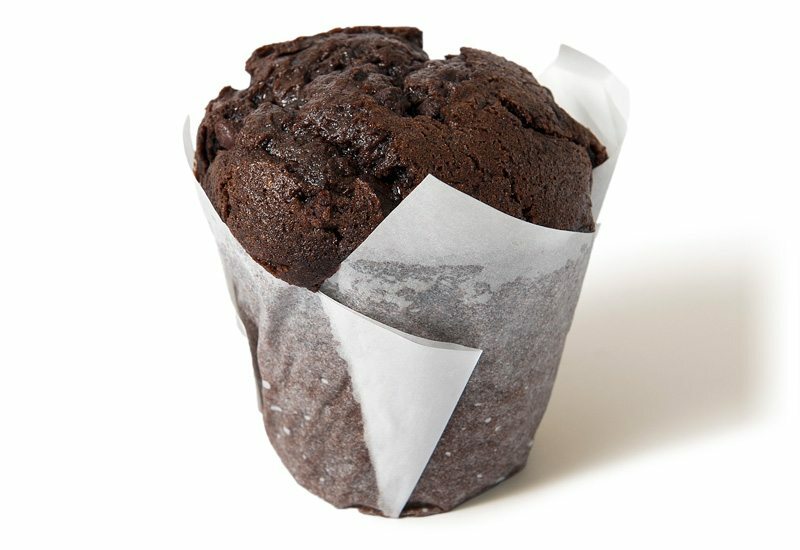 Regular sized chocolate flavoured muffin, with chocolate chips throughout. Rich chocolate muffin chocolate chips topped with a real chocolate drizzle. 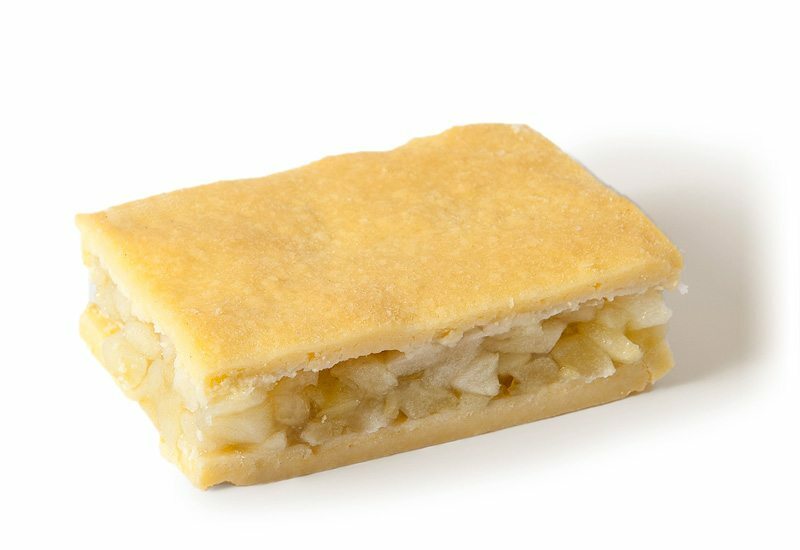 Crispy golden brown shortbread topped with a thick layer of fresh apple mix and covered with golden brown lattice and gelled. 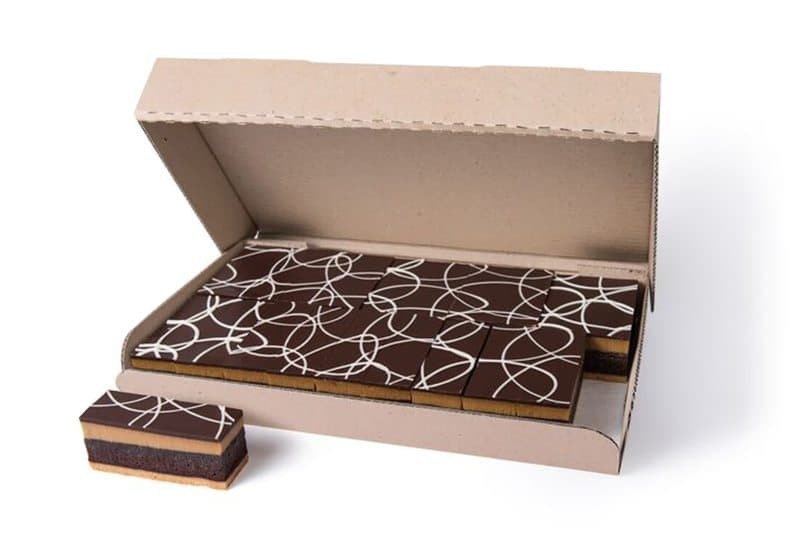 Flag Shaped, Chocolate biscuit base with Californian walnuts topped with a layer of Chocolate Fondant and White Chocolate Swirl. 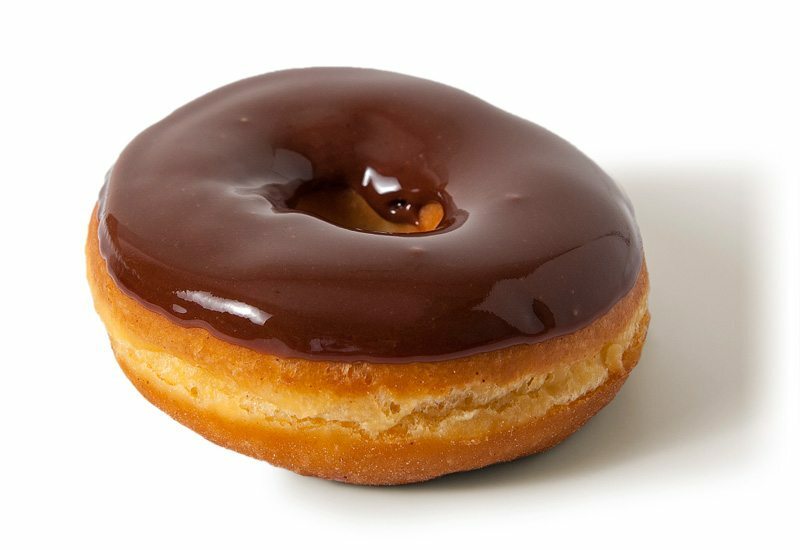 Donut ring topped with chocolate flavoured fondant. 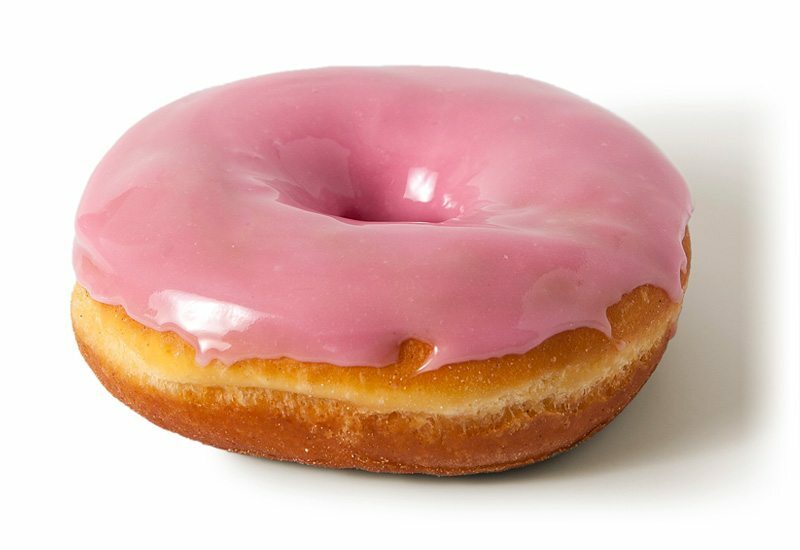 Donut ring donut topped with strawberry flavoured fondant. 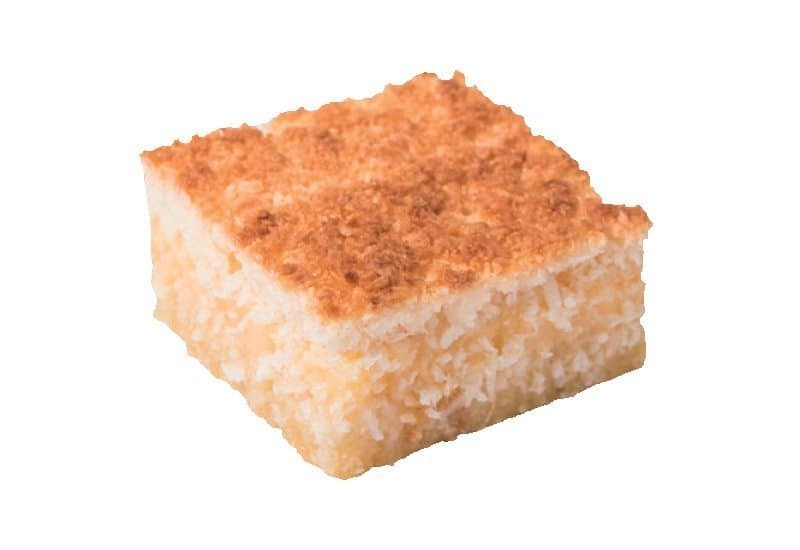 Square white sponge cake portions dipped in chocolate dip and covered all over by desiccated coconut. 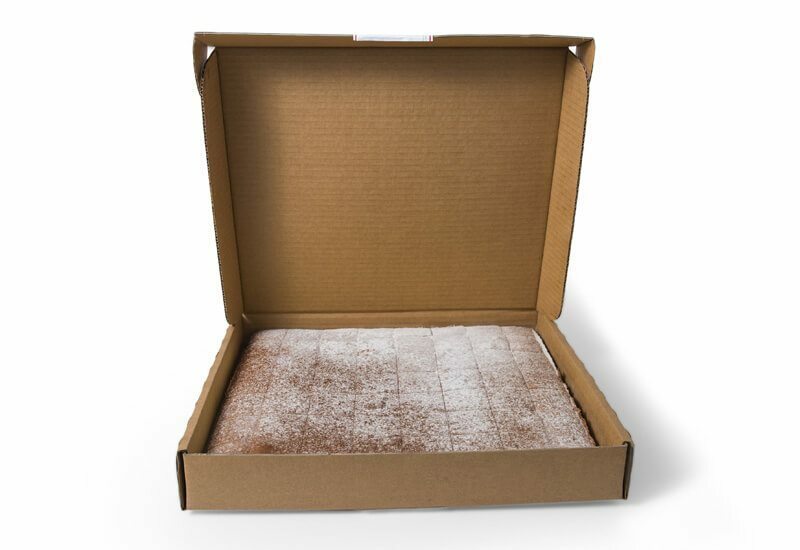 A tangy lemon cake infused with the warmth of ginger, dusted with icing sugar. 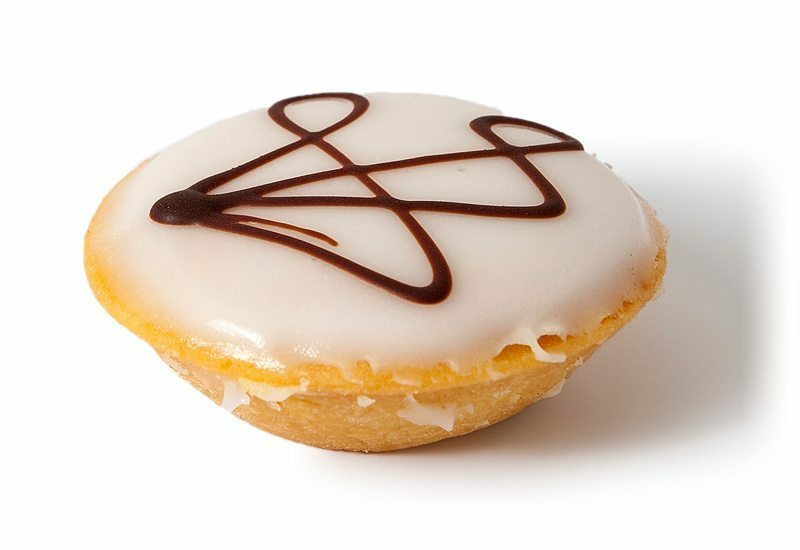 A rich vanilla cake with a tangy lemon flavour, topped with a sweet fondant drizzle. 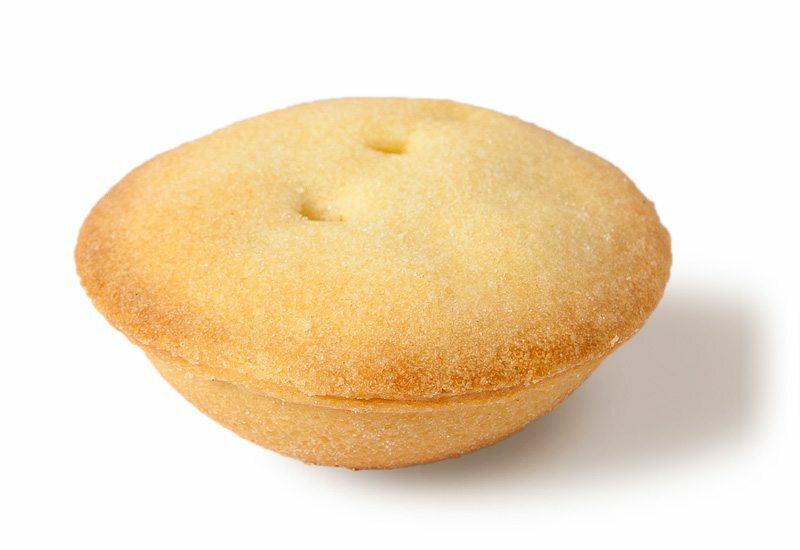 Tangy lemon filling baked in golden brown shortbread pastry. 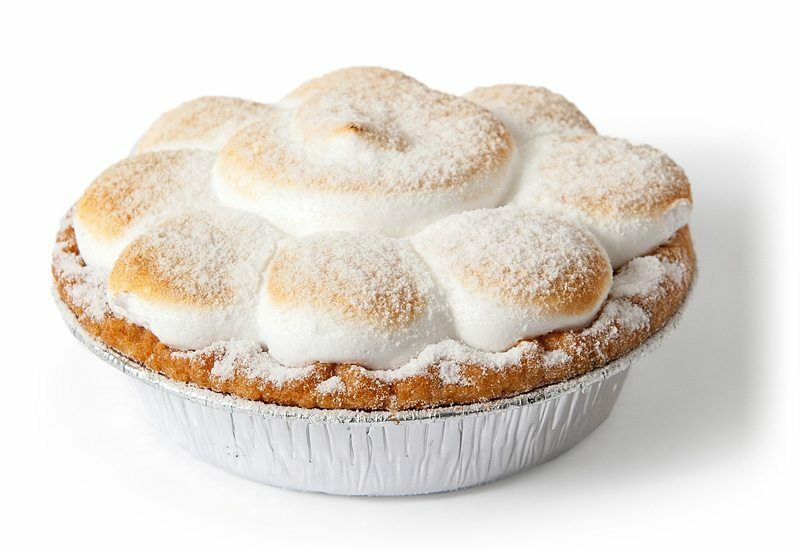 Topped with soft meringue and finally dusted with dusting sugar on top. 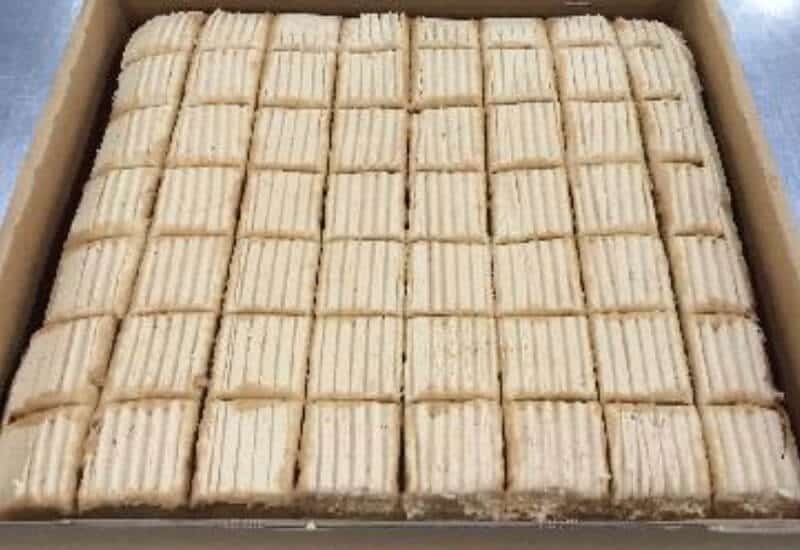 Tangy meringue baked in golden brown shortbread pastry. 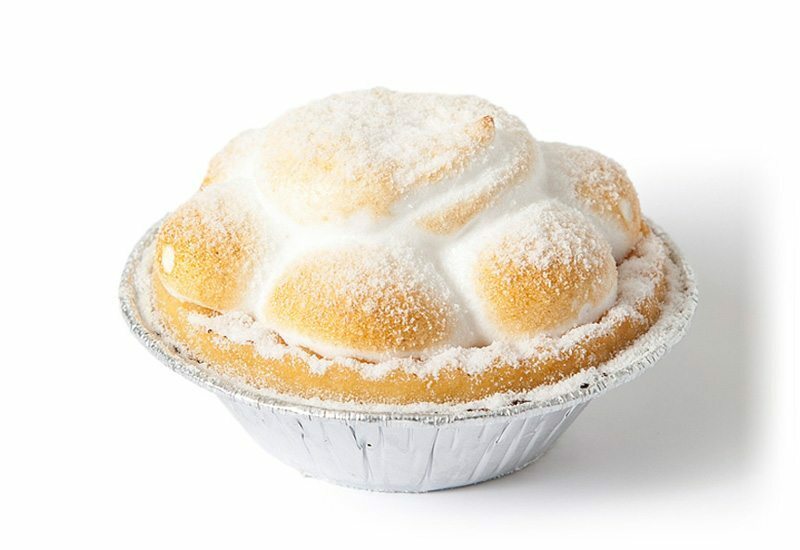 Topped with soft meringue and finally dusted with dusting sugar on top. 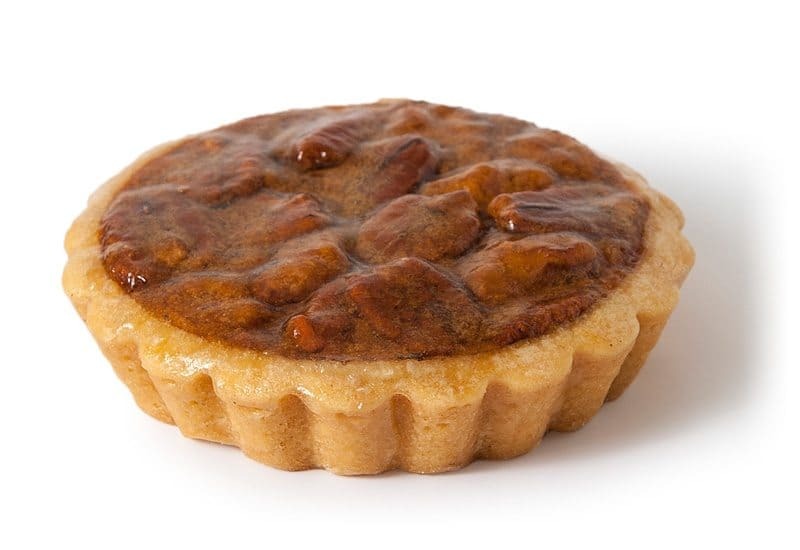 Crispy and sweet shortbread pastry filled with pecan nuts and sweet caramel filling and baked to golden brown. 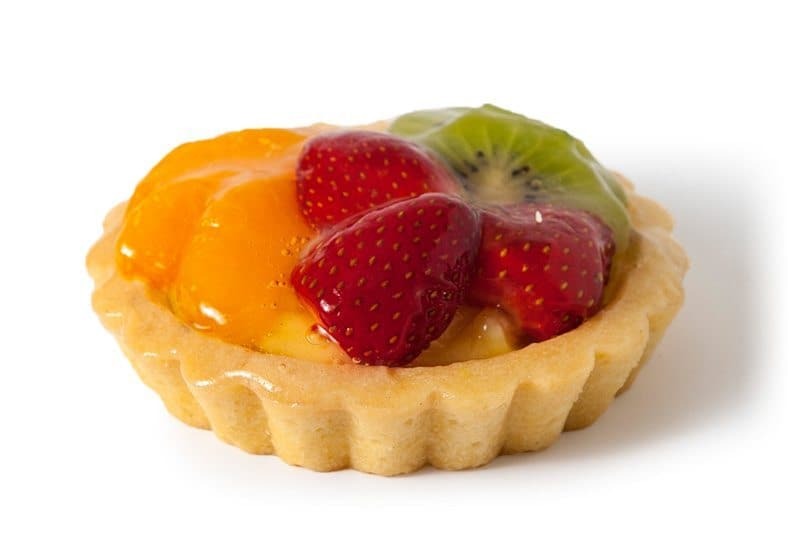 Golden brown shortbread pastry filled with custard and topped with fresh fruits and glazed. 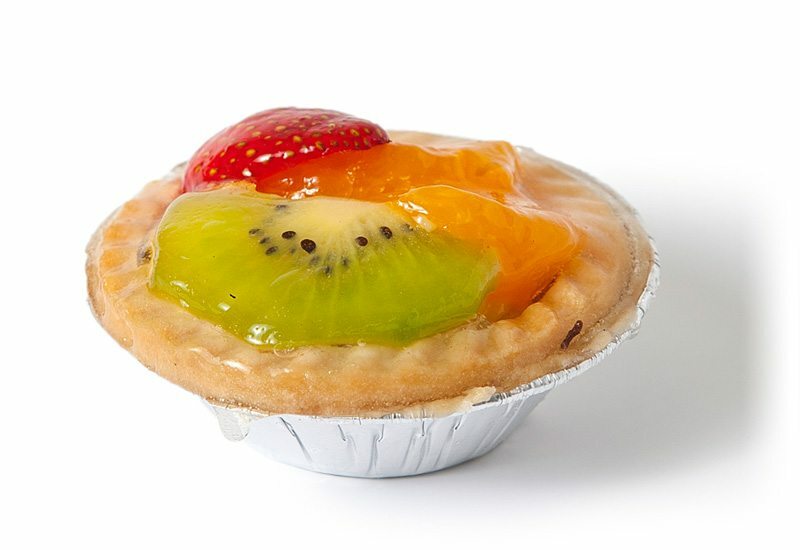 Mini Golden brown shortbread pastry filled with custard and topped with fresh fruits and glazed. 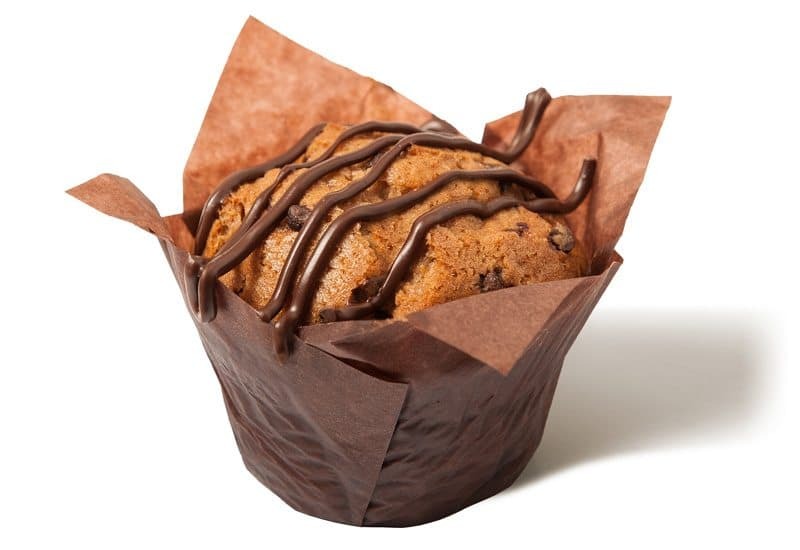 Rich Mocha flavoured muffins with chocolate drizzle . 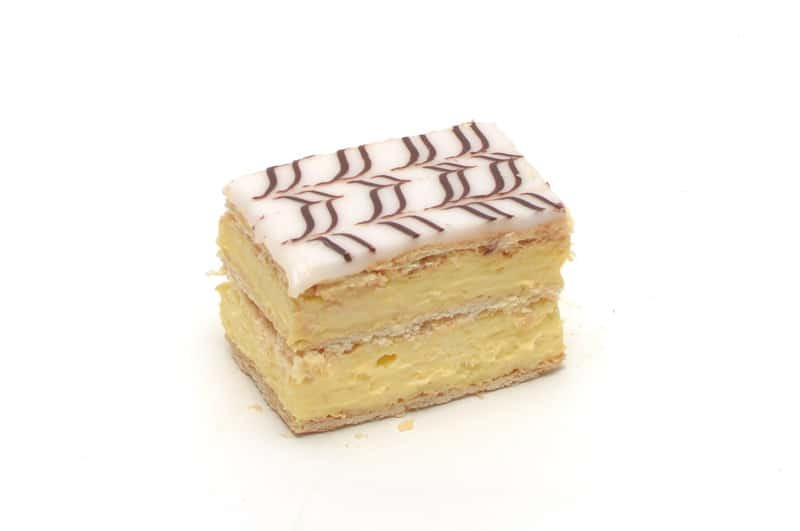 Thick layer of custard cream, crème patisserie style filling in between of two sheets of thin puff pastry then topped with a layer of white fondant and decorated with chocolate colour jelly. 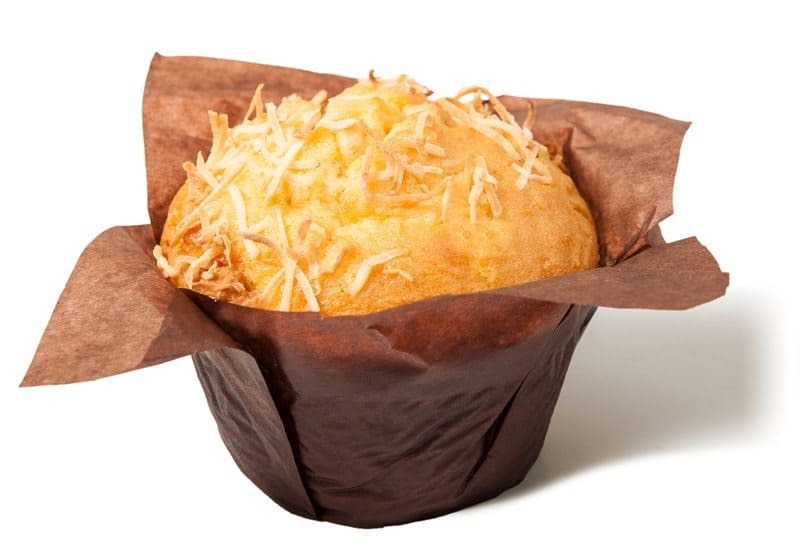 Moist orange muffin with chocolate chunks and then finished with a rustic coconut topping . 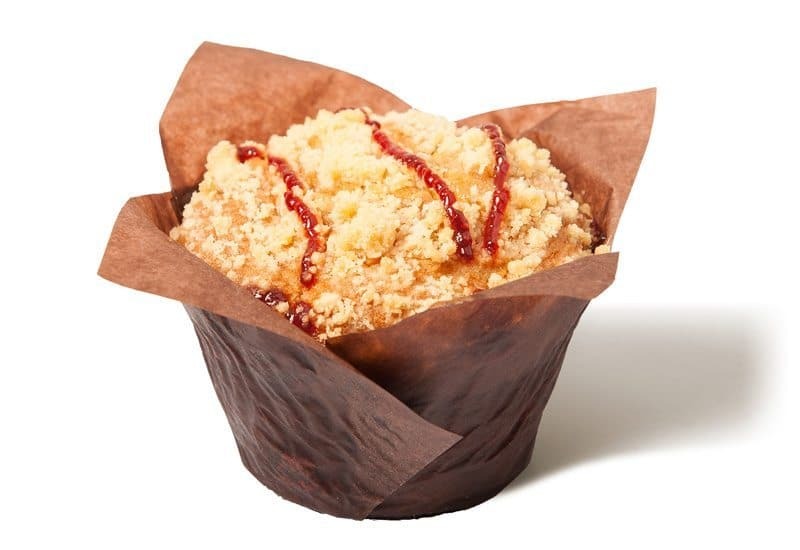 Raspberry & White Chocolate Muffin with a delicious crumble top and decorated with raspberry jam . 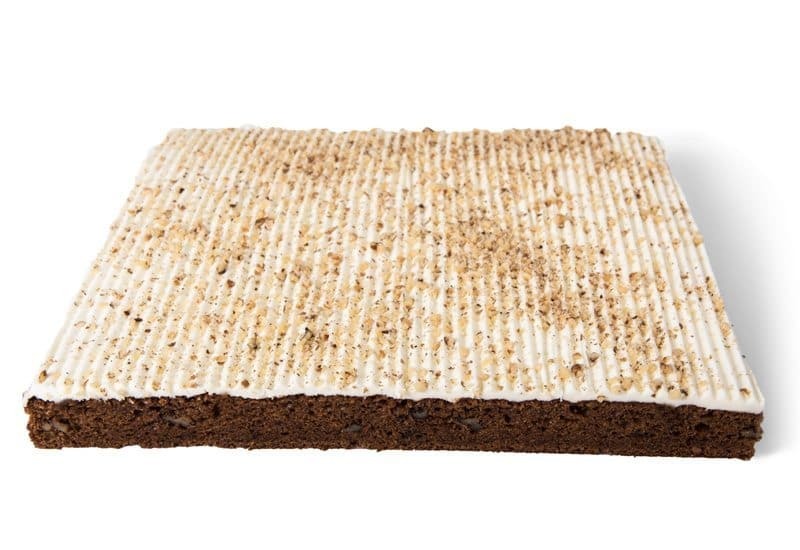 A rich and dense chocolate cake topped with a smooth rich chocolate icing. 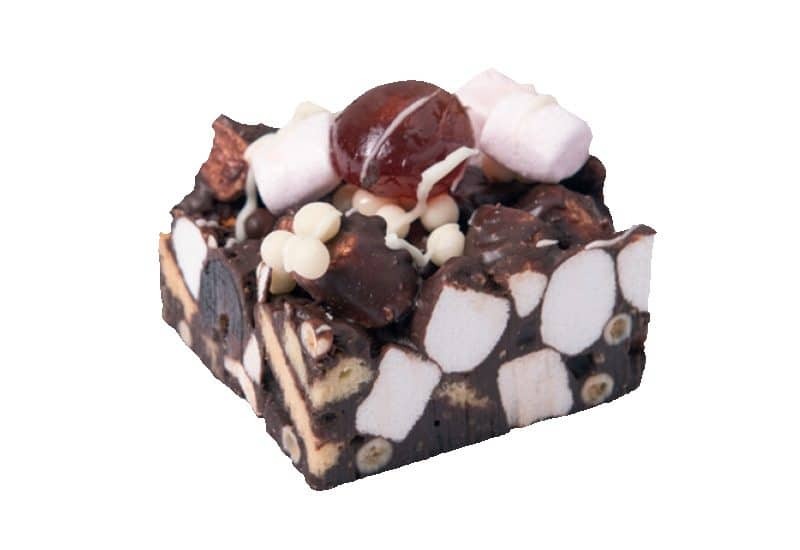 Rustic Rocky Road with Pink & White Marshmallows, Glace Cherries, Biscuit Pieces, White Chocolate Drizzle and Crunchy Beads. 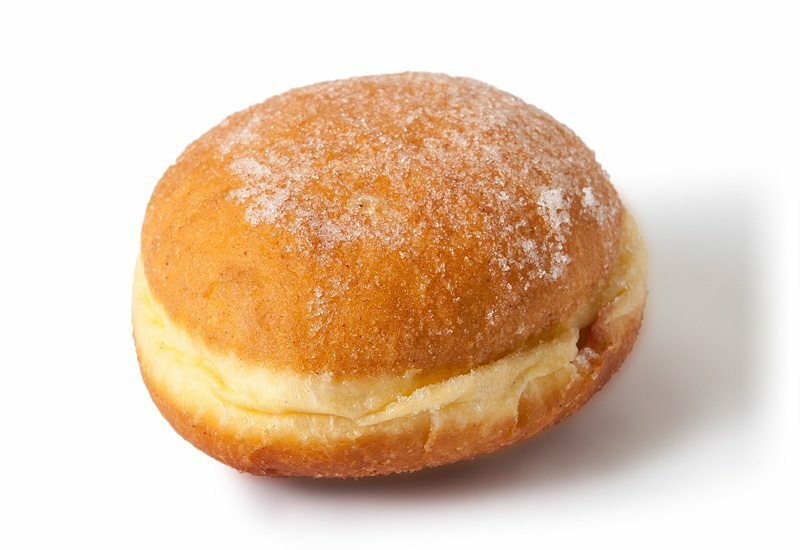 Round shaped golden brown donut with jam inside and covered with dusting sugar. 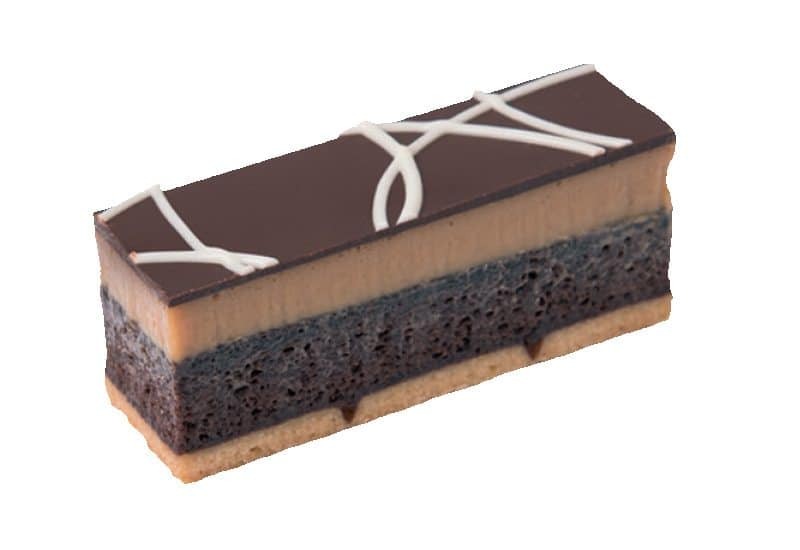 A Rich Brownie Slice With a Shortbread Base and Salted Caramel Filling, topped with Chocolate Ganache and White Chocolate Drizzle. 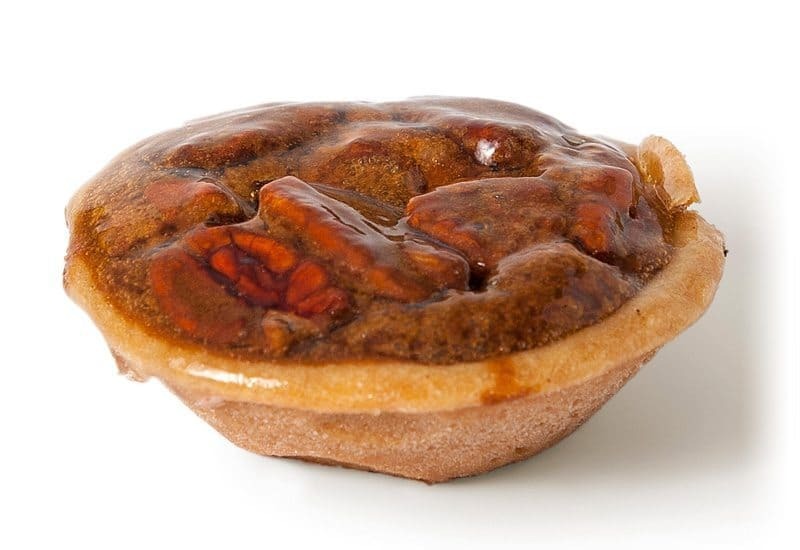 A rich coffee cake topped with a sweet chocolate fondant drizzle. 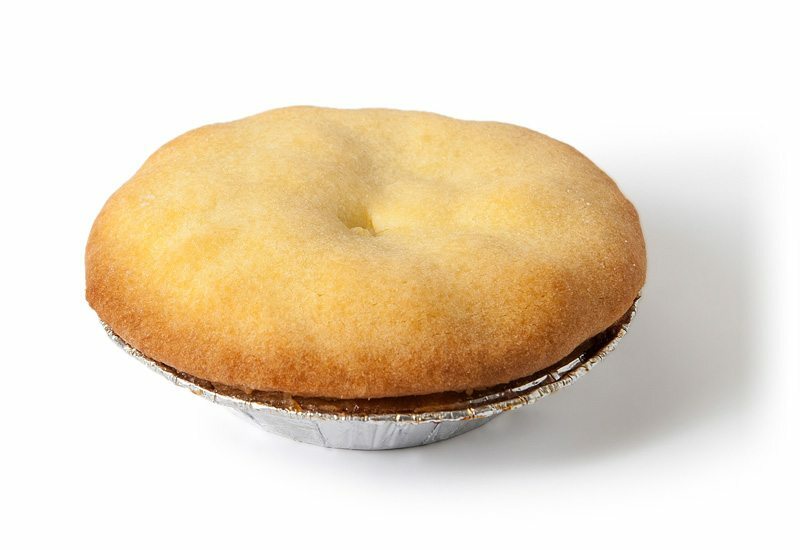 A soft, light sponge topped with apple flavoured icing. 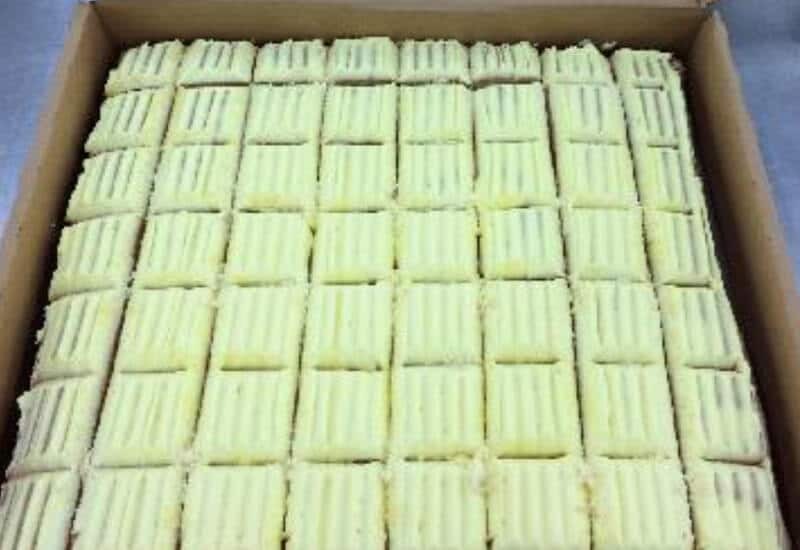 A soft, light sponge topped with banana flavoured icing. 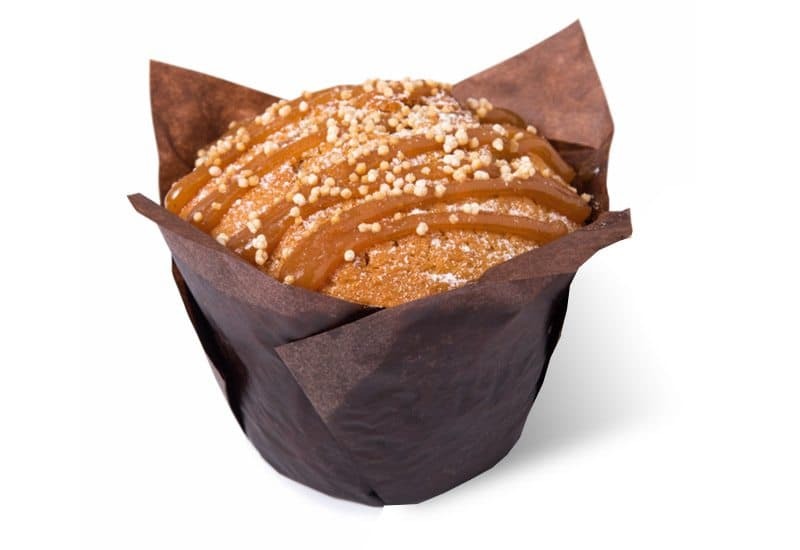 A soft, light sponge topped with caramel flavoured icing. 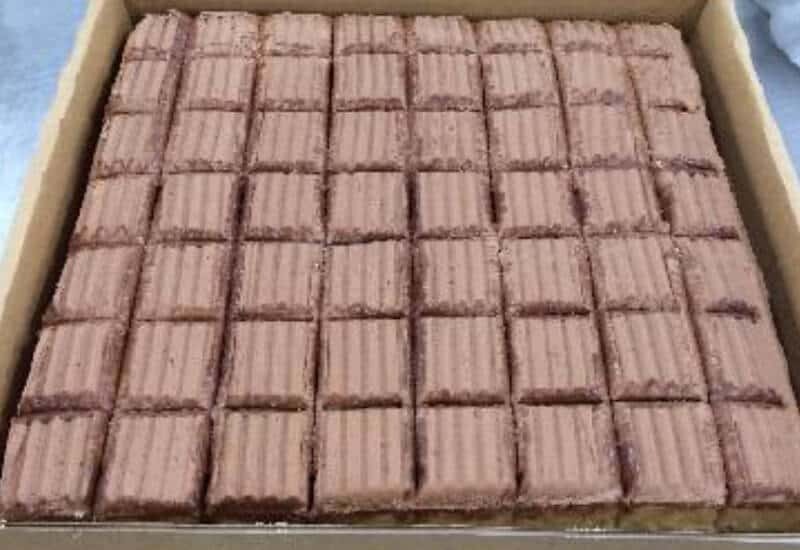 A soft, light sponge topped with a creamy chocolate flavoured icing. 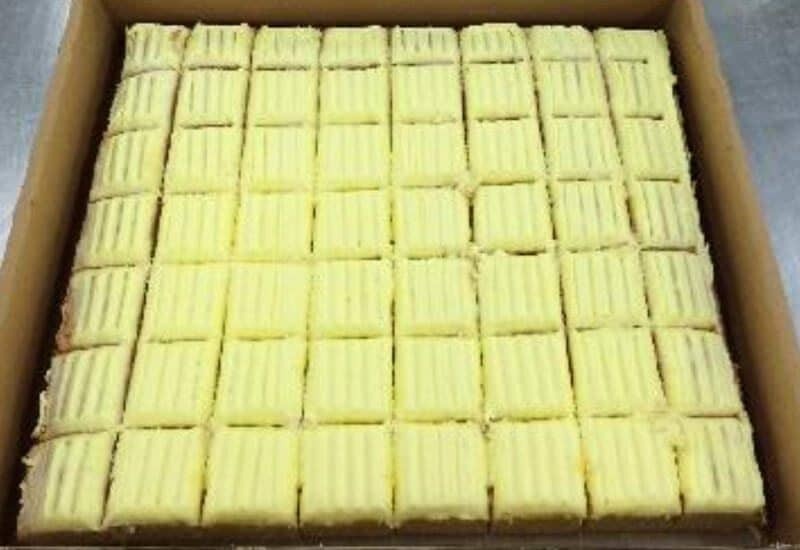 A soft, light sponge topped with lemon flavoured icing. A soft, light sponge topped with passionfruit flavoured icing. 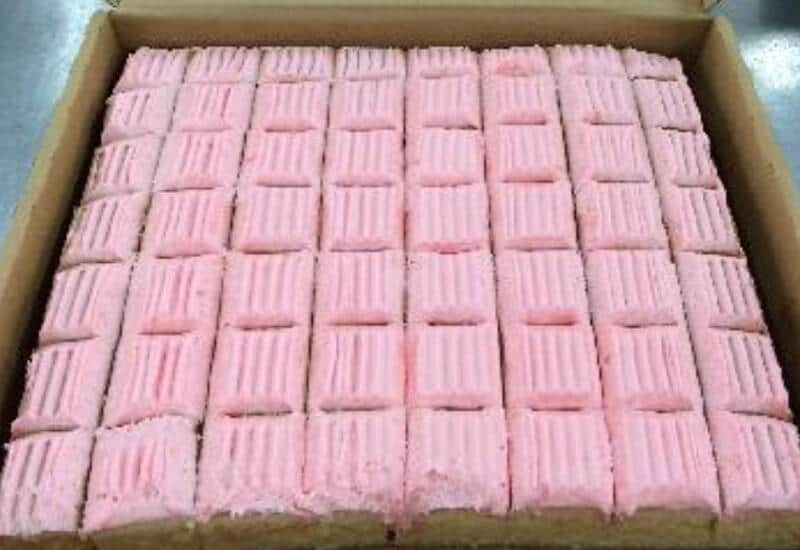 A soft, light sponge topped with strawberry flavoured icing. 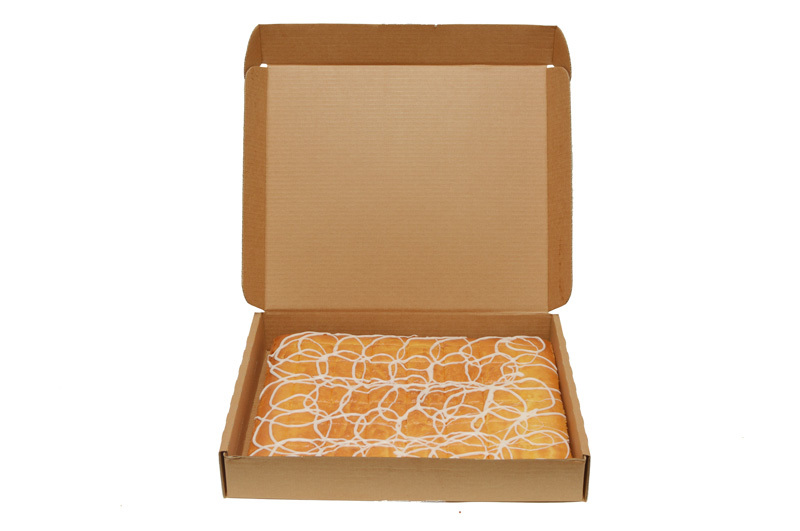 A golden sponge laced with juicy sultanas and topped with a sweet fondant drizzle. 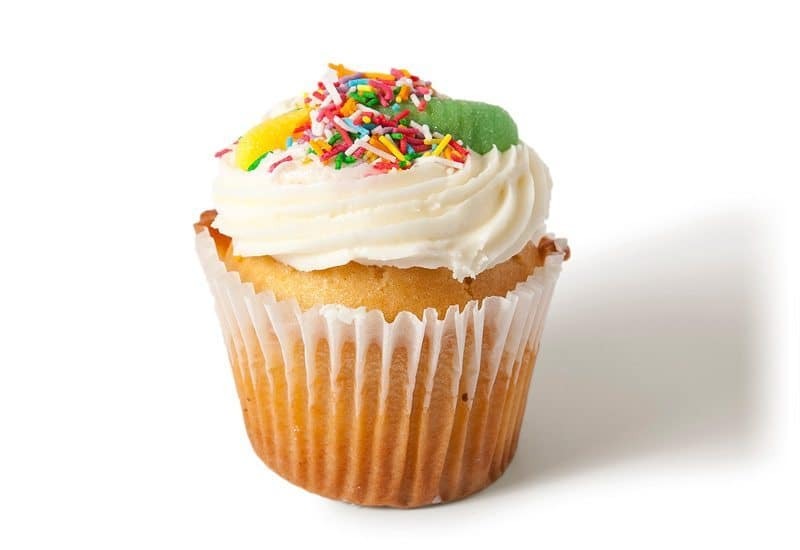 Vanilla cupcake topped with white vanilla icing and decorated with rainbow sprinkles. 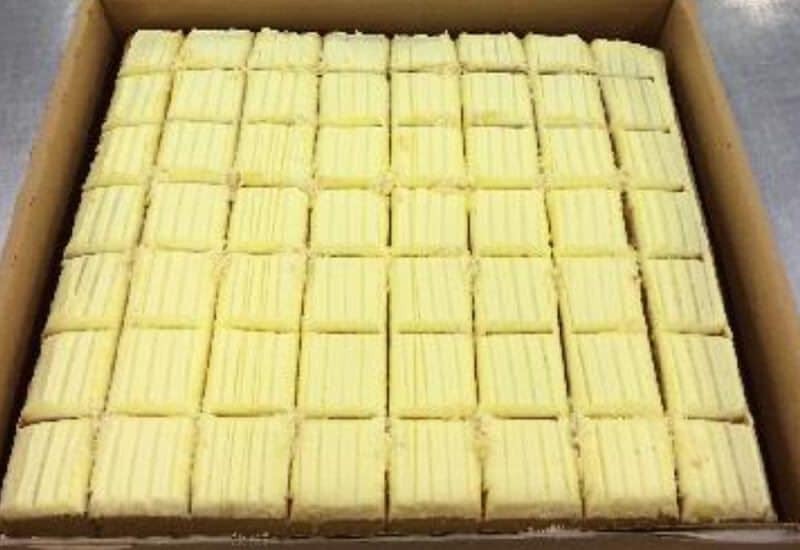 A moist vanilla sponge cake topped with a rich butter cream icing. 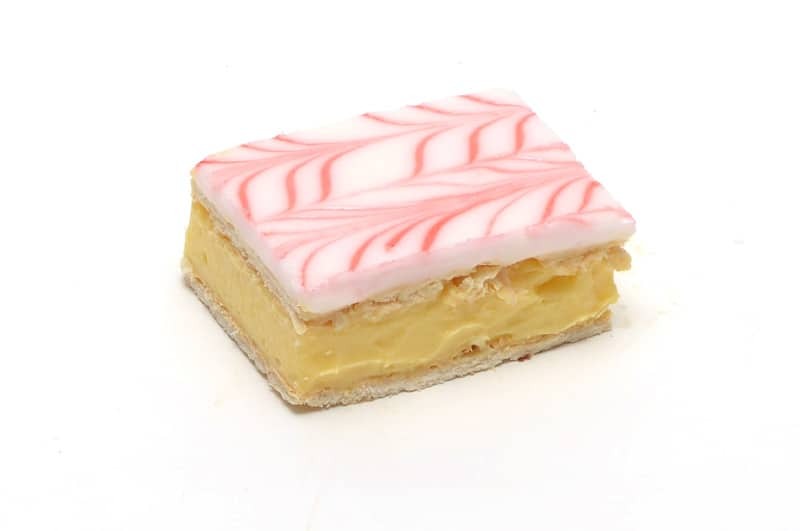 Thick layer of custard in between 2 thin layers of puff pastry sheet then topped with a layer of white fondant and decorated with red piping jelly.